Rehearsals and a concert on 20 July 2018, or later in the context of IMD’s Open Spaces. The focus is on creating a lab-like, collaborative environment, and close composer-performer cooperations. Composers are strongly encouraged to research and find the material during the working process with the performers. By encouraging this working approach, we are aiming for some good kernels that can become great music after this experience, and, ideally, this should be a starting point of further collaborations. 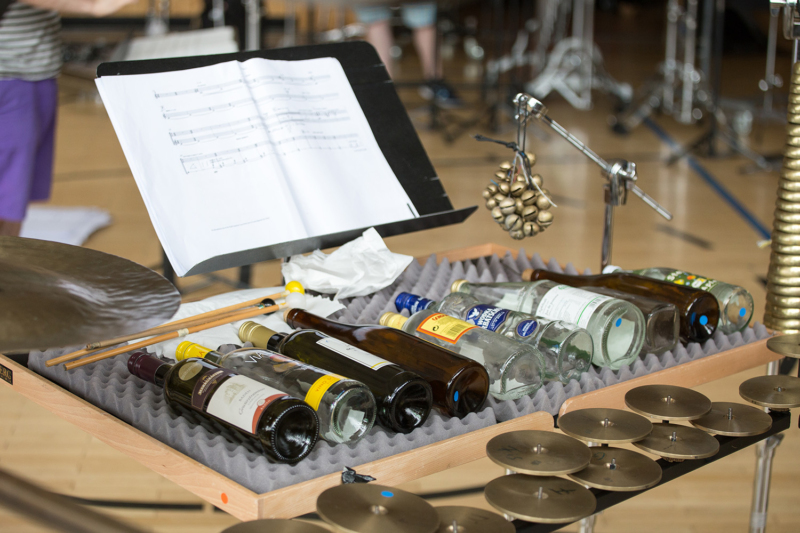 The works should involve 1–3 percussionists employing any sound producing object of the composer’s choice as long as it is possible to realize within the practical framework of the percussion studio. We encourage applicants to opt for small-scale set-ups, and possibly, if employing unconventional instrumentations, bring their own instruments or electronic devices to the workshops. Conventional instruments are available in the percussion department. Concepts may be submitted with or without any form of musical notation. Composers will be selected and notified by 1st May 2018.